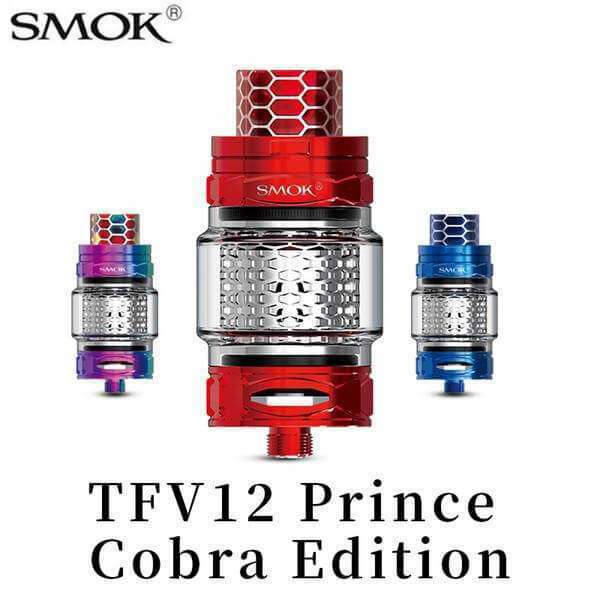 Say hello to the newly designed SMOK TFV12 Prince Cobra Edition Tank! 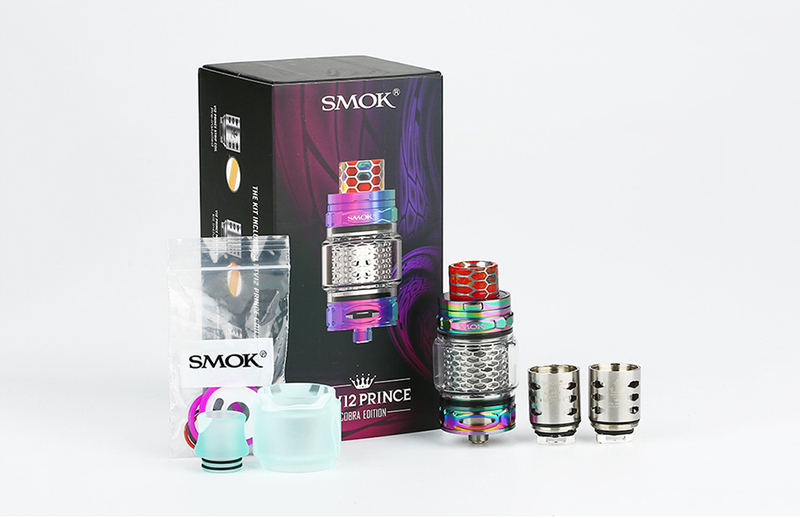 The TFV12 Prince Cobra Edition is a 7ml/ 2ml unprecedentedly powerful and exquisite subohm tank with beautiful snakelike patterns carved on the top and base to bring you great visual enjoyment. 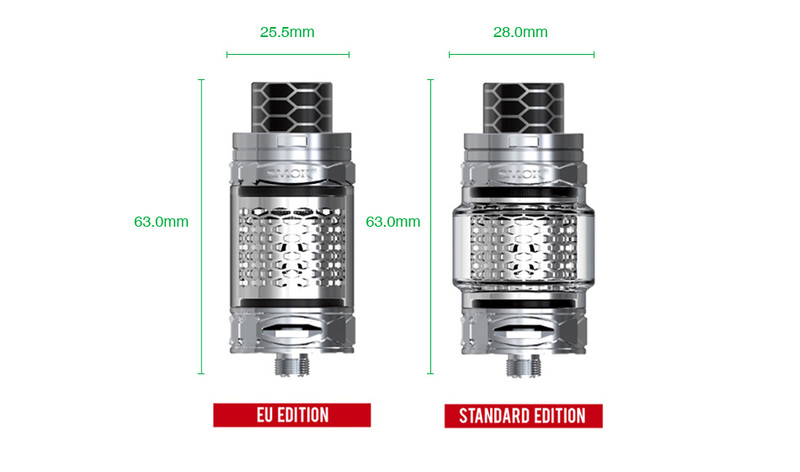 The TFV12 Prince Cobra Edition tank comes with a unique cobra mesh inside which makes you see the beautiful “shape of the e-liquid” clearly and brings you a stable vape. 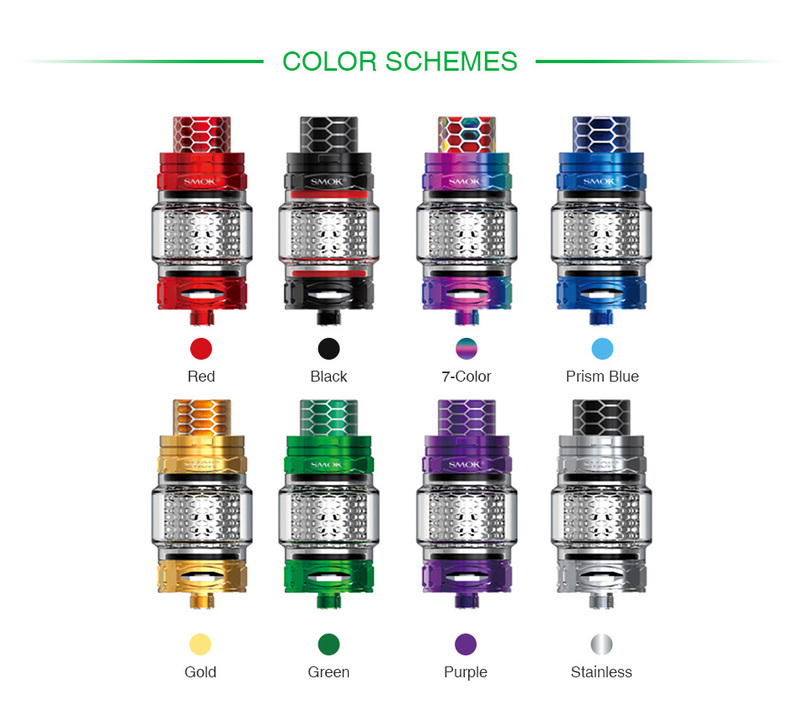 Together with the cobra V2 resin drip tip, easy top filling with patented locking mechanism, the revolutionary TFV12 Prince coils, the TFV12 Prince Cobra Edition is definitely a great vaping device for you! 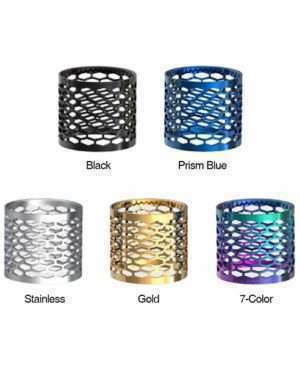 You can buy the replacement Cellular Cobra Mesh, V12 Prince Coils, V12 PRINCE RBA core, V12 Prince 5ml Glass Tube and 8ml SMOK Bulb Pyrex Glass Tube #2 in VM. 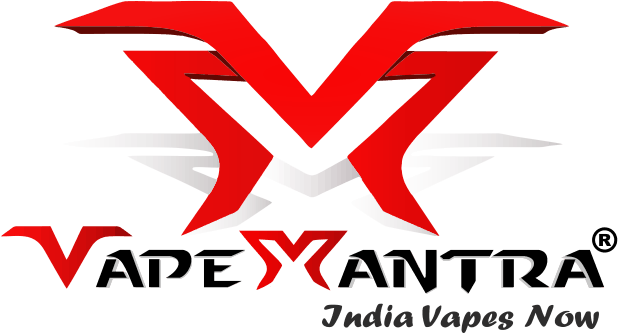 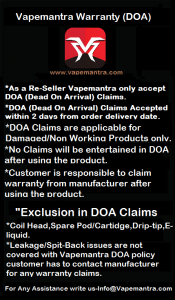 The replacement TFV12 Prince resin drip tip and 8ml resin tube from Blitz are also available in Vapemantra.